Sr. Merceditas Ang, SPC (University President) led the inauguration of SPUP’s SIMULATION LABORATORY for Hotel, Restaurant and Tourism programs on January 14, 2019. A celebration of the Holy Eucharist presided by Archbishop Emeritus Diosdado Talamayan, DD, concelebrated by Rev. Fr. Adalbert Barut and Rev. Fr. Edgar Baculi, preceded the blessing of the new learning facility. 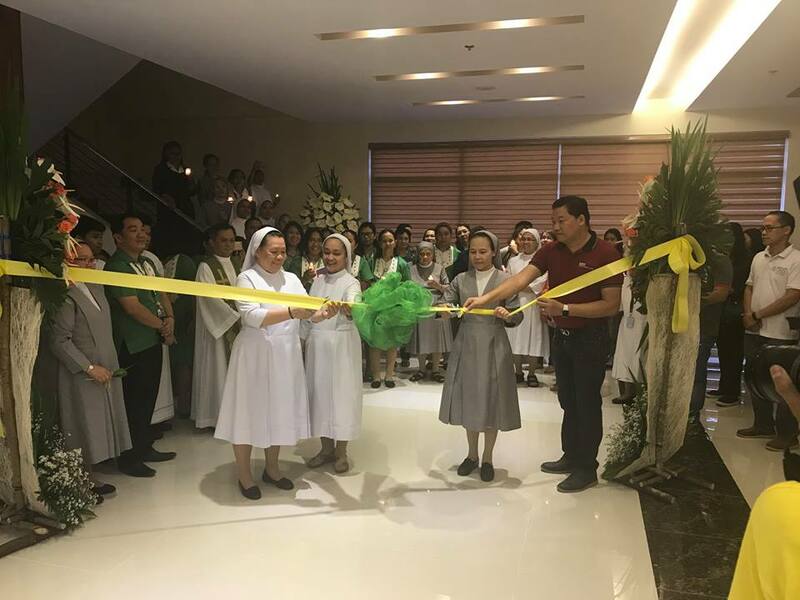 The highlight of the inauguration was the blessing of the fourth floor of the Global Center (Sacred Heart of Jesus Training Center) – where the Hotel simulation laboratory is located. The entire storey of the building displays various hotel settings, innovations and services where HRM students could apply their learning experience and foster learning opportunities. The simulation laboratory forms part of SPUP Global Center for courses in events and conventions; cuisine and catering; and, hotel and tourism managements. The ground floor houses the laboratory for Tourism services; while, the second floor encloses the Alfresco Restaurant and Function Halls for cuisine and catering, and events and conventions studies respectively. Aside from SPUP-SPC Community of Sisters, administrators, teachers and students, the event was also graced by the SPC Sisters from St. Paul Hospital, SPUP Alumni and Friends of St. Paul.